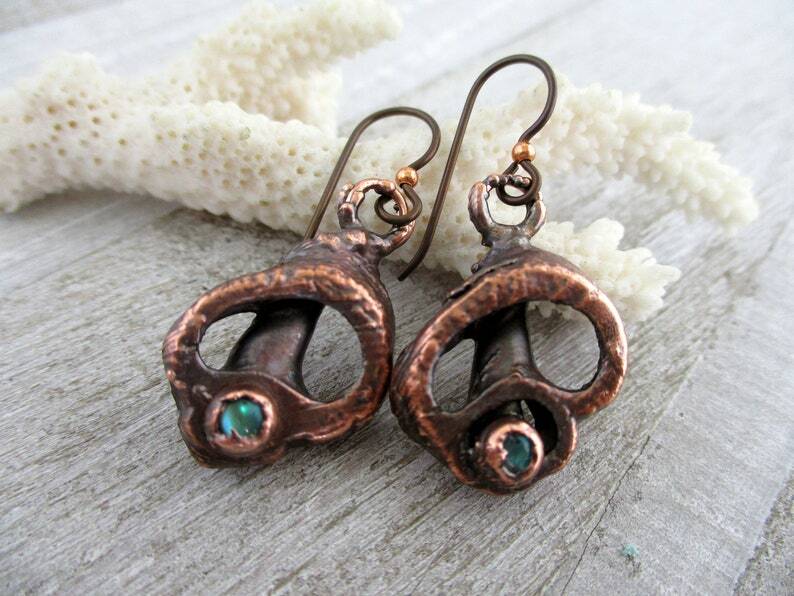 A pair of seashell slices surrounded with electroformed copper and a little blue abalone shell accent on each. Hung on Niobium earwires which are allergen free. These earrings are ready to ship and I usually ship within 24 to 48 hours. You can upgrade to priority mail shipping at checkout. All of my handcrafted, one of a kind jewelry comes in a natural brown gift box, and ship by USPS First Class mail.